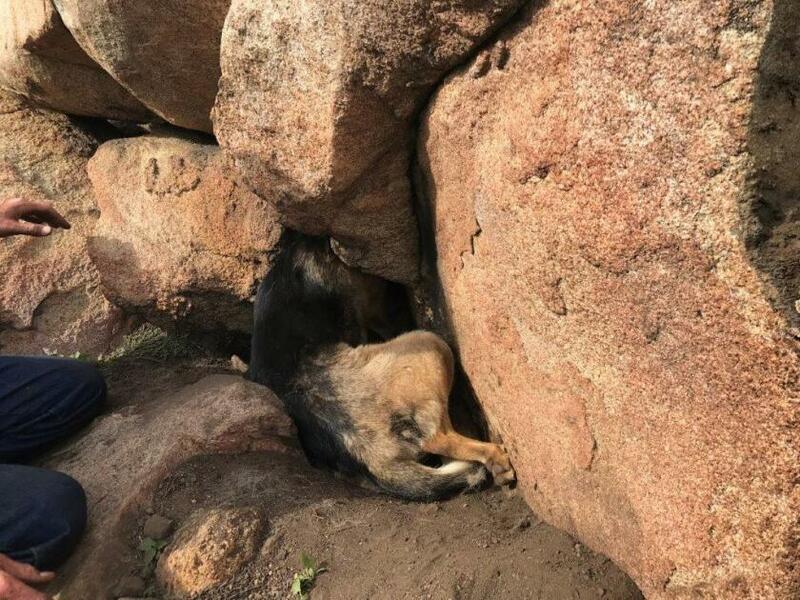 A dog who spent a few days trapped, her face wedged between two Valley Center boulders, will go up for adoption this week. Three days later, on Thursday, they found her — and recognized her at the stray pup they had been feeding. The clever crew who rescued the stuck pup nicknamed her Rocksann. 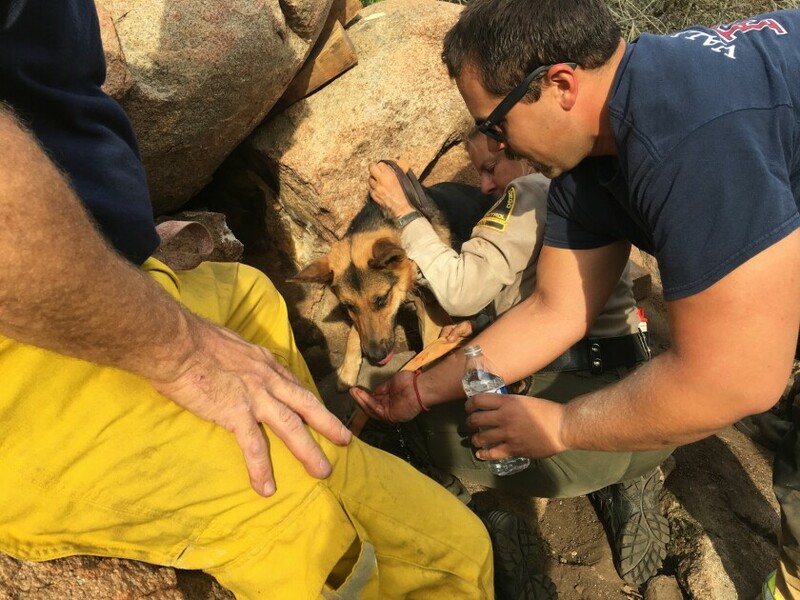 County spokeswoman Tracy DeFore said the rescued dog is described as a lively girl who loves to run. Training is recommended.